“They’re the No. 1 team in the conference right now,” guard Matt Coleman III said of K-State. 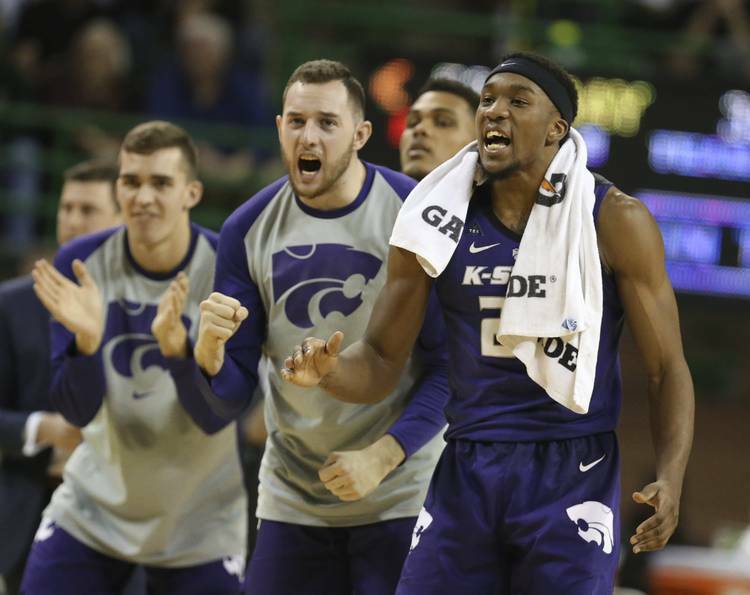 In the first matchup, the Wildcats were without two key starters, including Dean Wade. This feels like a week where the Texas men’s basketball program can get its mojo back. After that embarrassing Georgia loss on Jan. 26, coach Shaka Smart’s club has won three of its last four against Big 12 opponents. That includes a win over Kansas and a 22-point dribbling of last-place West Virginia, the most lopsided league win in Smart’s four seasons. First-place Kansas State, newly minted with a No. 18 national ranking, comes to the Erwin Center at 8 p.m. Tuesday followed by a home game against Oklahoma State on Saturday. The coach knows it’s big, too. He shot a quick promotional video for the school’s Twitter account. School administrators sure know it’s big. Texas officials were offering $7 tickets on the mezzanine level in addition to promoting happy-hour beer prices before tipoff. Now, all the Longhorns (14-10, 6-5 Big 12) have to do is win two home games, and then the season would look rather different. Texas beat Kansas State (18-5, 8-2) by 20 points in the Big 12 opener on Jan. 2. But that win comes with a small asterisk, as Coleman alluded. Dean Wade, the preseason Big 12 player of the year, did not play, nor did double-digit scorer Kamau Stokes. Both Wildcats were sidelined with injuries. Wade is averaging 16.3 points since his return to full action in mid-January. Stokes averages 10.3 points. It’s a dynamic 1-2 scoring punch that, when mixed with Barry Brown (15.3 points) and Xavier Sneed (9.8), give the Wildcats plenty of firepower. “It’s all the same guys that came in here (last season) and ended up going to the Elite Eight,” Smart said. The previous game was a back-and-forth affair. K-State led by one with 11:40 remaining, and then UT’s Jase Febres hit two 3-pointers. Jaxson Hayes had two dunks and a tip-in, and next thing anybody knew, Texas was up by 10 en route to the finish line. Opposing coaches can see the Horns were starting to click. Kansas coach Bill Self called out his own team for a lack of fight in a 10-point loss at the Erwin Center. Iowa State’s Steve Prohm was relieved more than anything after Nick Weiler-Babb hit some clutch shots against Texas in Ames. Baylor’s Scott Drew and West Virginia’s Bob Huggins were both struggling for answers after losing to UT last week. Now, Texas fans get to see what’s changed.